British Cycling have named Sir Bradley Wiggins and Laura Trott in their squad for the European Track Cycling Championships, held from 14-18 October. Ed Clancy misses the Switzerland event through injury, while Becky James is rested as she continues her comeback following a long-term knee injury. 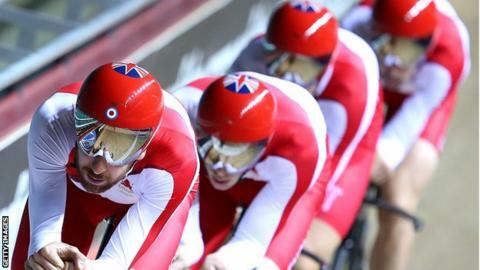 Double Olympic gold medallist Trott is a seven-time European champion, while Wiggins won three Olympic track golds. "It's good for the squad he is going," said technical director Shane Sutton. "He's won it all. We've selected a strong squad. With the Olympic Games in Rio less than a year away, it's a great opportunity to secure some vital qualifying points. "We saw some really promising performances at the British Cycling National Track Championships and the Europeans provide a good chance to put the talent out there and pit themselves against the best in the world."